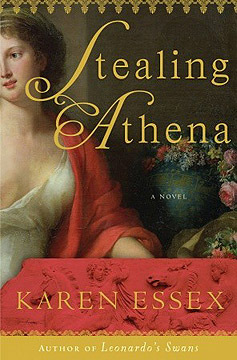 In Stealing Athena, the author of the bestselling Leonardo’s Swans traverses the centuries into the hearts of two extraordinary women separated by two millennia to reveal the passions, ambitions, and controversies surrounding one of the world’s most treasured and fought over collections of art—the Elgin Marbles. At the height of the Napoleonic Wars, the 21-year-old newly wedded Mary Nisbet, Countess of Elgin, a Scottish heiress and celebrated beauty, enchanted the power brokers of the Ottoman Empire, using her charms to obtain their permission for her husband’s audacious plan to deconstruct the Parthenon and bring its magnificent sculptures to England. Two millennia earlier, Aspasia, a female philosopher and courtesan who presided with her lover, the visionary politician Pericles, over Athens’ Golden Age, plied her wits and allure with equal determination, standing with him at the center of vehement opposition to his ambitious plan to construct the most exquisite monuments the world had ever seen. 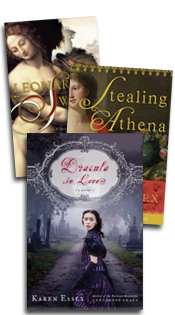 In parallel stories that resonate hauntingly, Aspasia witnesses the dramatic events that lead to the construction and dedication of the Parthenon, and Mary Nisbet witnesses that same magnificent building’s deconstruction and demise.